What is Foie Gras? 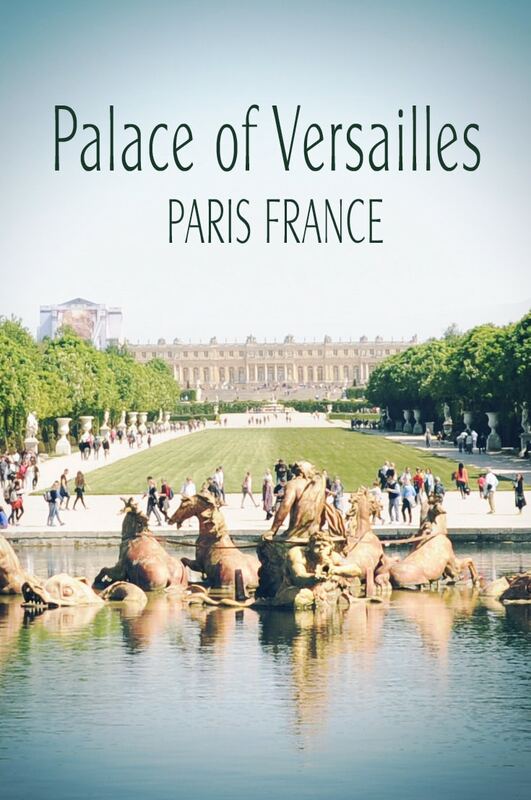 A Classic French favorite that you either love or hate. Some say it is an acquired taste but the French will disagree with you. They will tell you that most people that try it for the first time will love it a life time or never try it again. Keep in mind, its not cheap! This seems to be true for me and Jeff. I love it, have so since I was a child and would ask for it with a piece of bread. Jeff on the other hand tried it for the first time and almost could not speak for an hour from drinking the water down to kill the taste! He wants to try everything and so far fois gras and beef tartar are not on the list as favorites. While visiting my cousin in Reims France, I was able to see how it is made from a French women. It’s really pretty simple as long as you follow the steps. 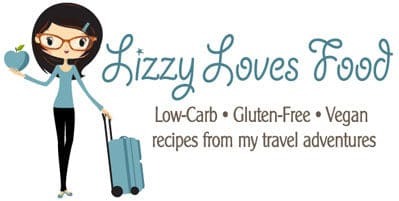 You won’t find duck liver sold at to many grocery stores. It can always be ordered in the United States. The place that does ship is located where Jeff grew up as a kid. Good old Hudson Valley New York, The fois gras can be shipped over night from D’Artagnan. The other thing that is needed is the fois gras mold. Which makes it perfect to make the dish. Season the fois gras first with only salt and pepper. You should only cut the liver in sections and try to keep it as whole as possible. That is the trick to the duck liver. Then place it down into the mold. Place the cranberries and chopped walnuts with the cognac and let it sit in a bowl for 15 minutes. Spread it on top of the fois gras. Layer the second layer of the fois gras and pour the remainder of the cognac on top. Take the press that came with your mold and press down tightly. Once it has been in the refrigerator for 2 days. 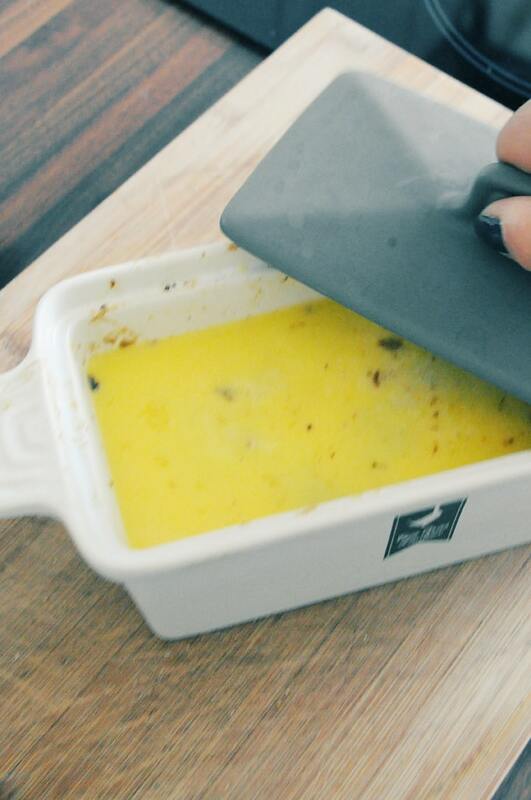 You can remove it from the mold by running a knife under hot water and going around the edges of the mold. Once the fois gras is loss place it on a plate to flip over. You can now cut the fois gras into slices 1/2 inch thick. 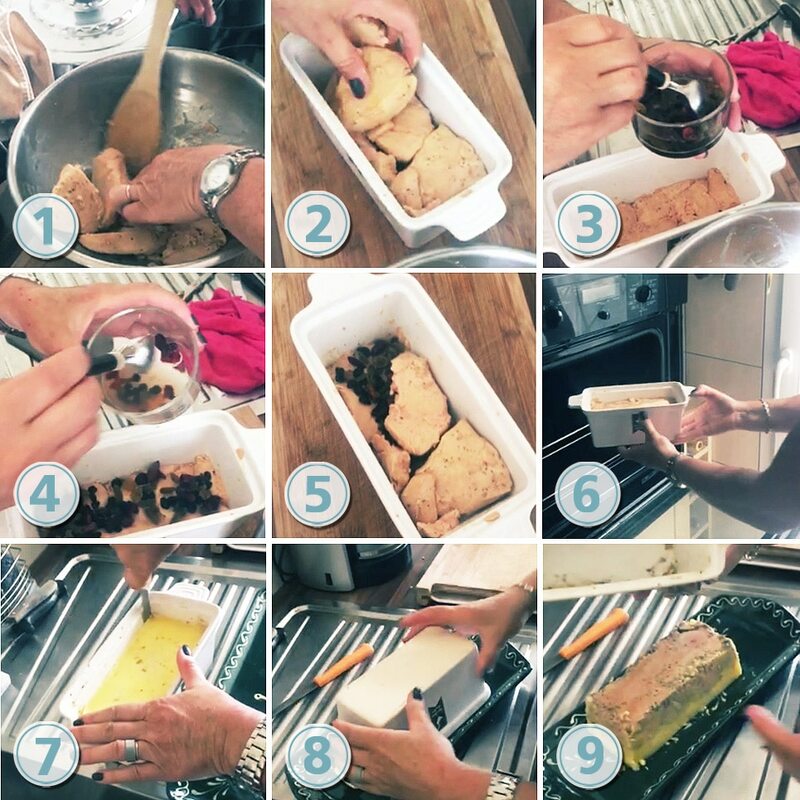 There are different ways to prepare fois gras. It can be prepared plain or with just chopped walnuts and dried cherries. My cousin also like to make it with chopped pistachios with gold raisins. You can add thyme as an extra season when you are marinating the duck liver. Fois Gras goes great with a crusty French baguette. Sprinkle coarse salt on top to bring out the flavor. You can also spread a little fig jam on the bread before the fois gras, this is how the French love it. 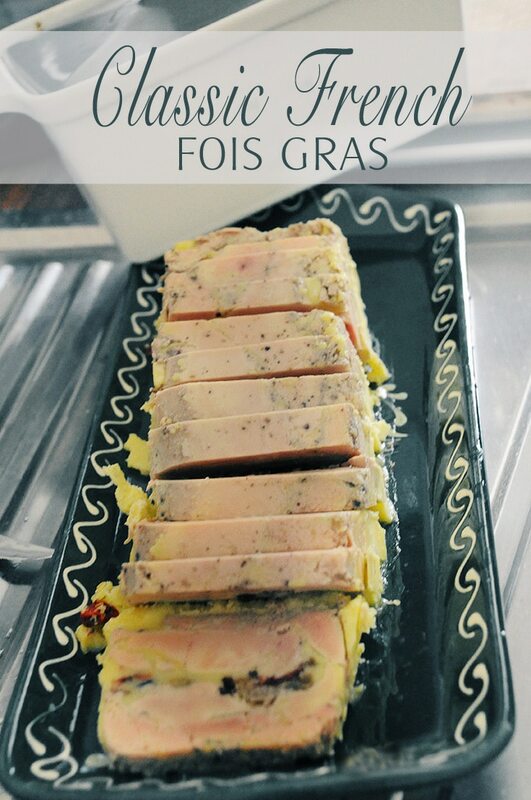 Serve a sparkling wine or champagne to accompany the fois gras. Olives and French gherkins are also served while eating fois gras. 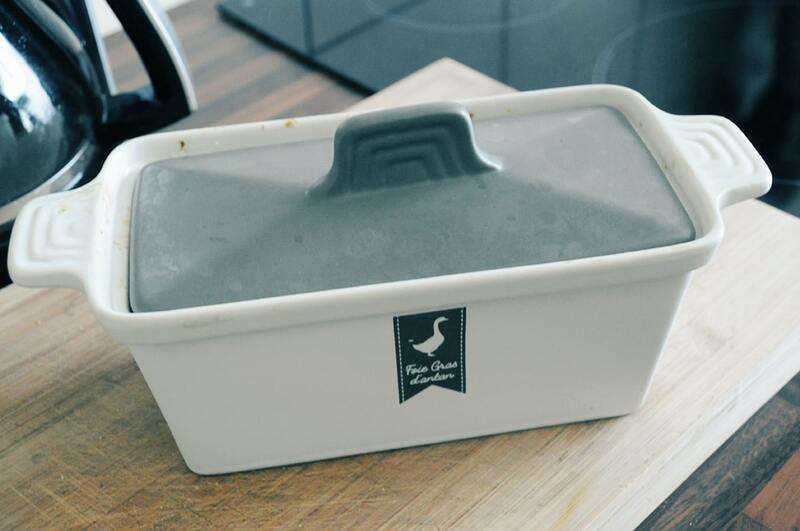 Remove the duck fat from the top and store in a container in the refrigerator for other use. 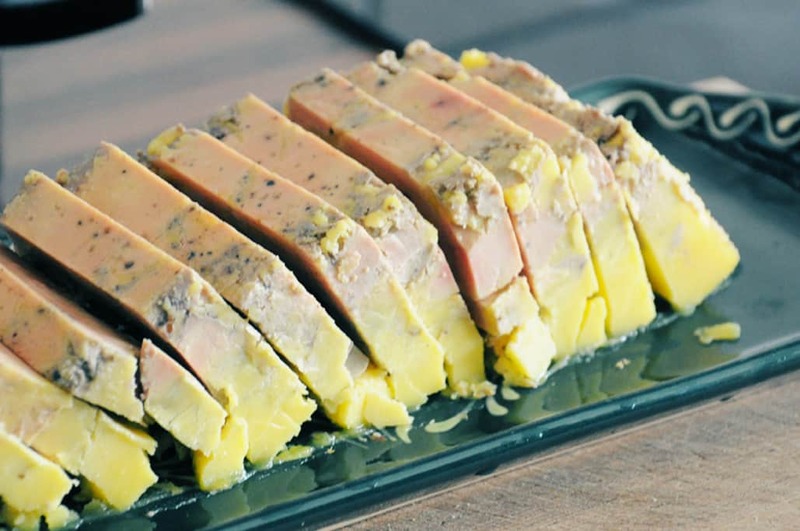 Traditionally fois gras is made for the holidays or special occasion. It is always a treat for me to have it during the holidays and this year I will be making my own except for Jeff! 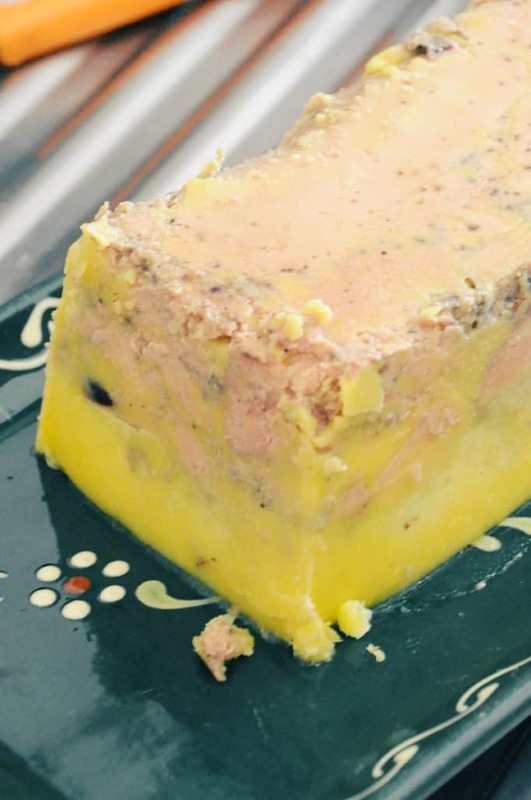 Classic French Fois Gras terrine recipe that is easy to make with simple directions to follow. Place the fois gras in the oven at 200° for 30 minutes. All the fat will be at the top when the inside reaches 115° on a meat thermometer. Take out of the oven and place in the refrigerator. 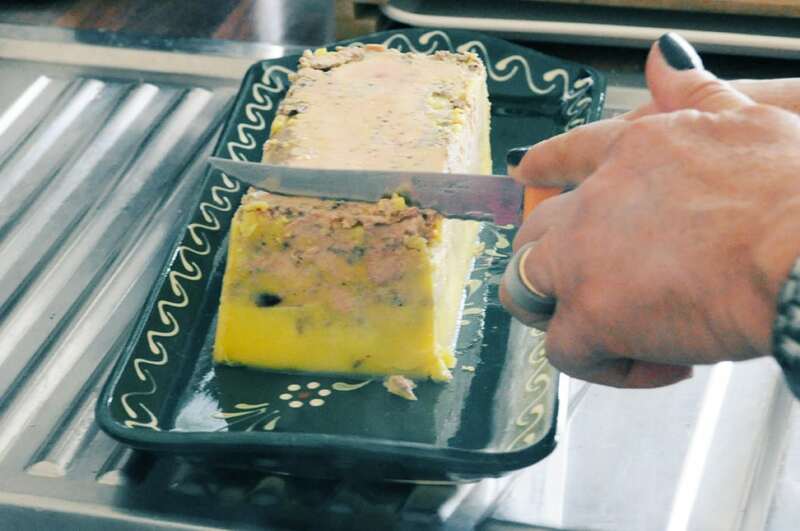 You can now cut the fois gras into slices 1/2 inch thick to serve for each person.